Trying out for the 2014 Olympic Curling Team! Luke came to town this past weekend (yay!) 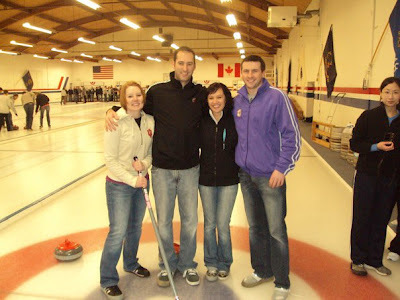 & we joined Tony and Keshia on Saturday morning at the Granite Curling Club to see if we had what it takes to make the 2014 Olympic team! It is definitely a lot harder than it looks, but definitely lots of fun!